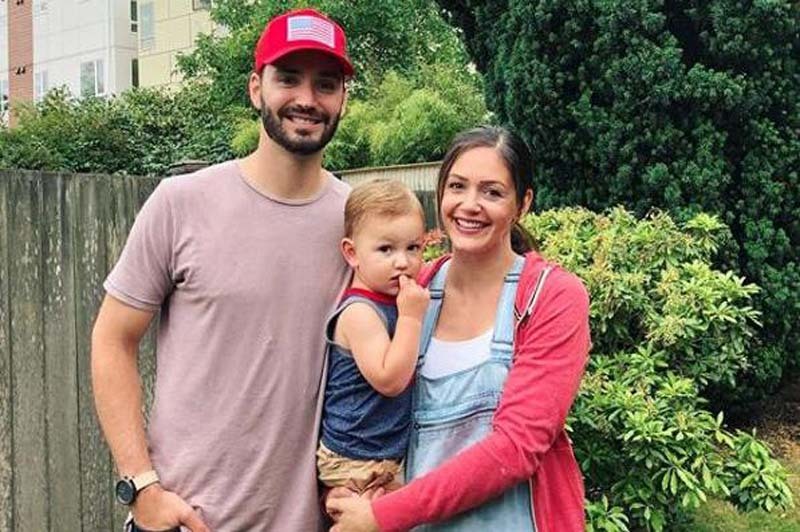 Bachelorette alum Desiree Hartsock is going to be a mom of two. The Season 9 star said in an Instagram post Wednesday that she is "beyond excited" to be having another baby with husband Chris Siegfried. [post_ads]Hartsock and Siegfried married in January 2015 after meeting and getting engaged on The Bachelorette. The couple welcomed their first child, son Asher Wrigley, the next year. "We are beyond excited to finally announce that we're expecting baby number two!!" Hartsock wrote. "We are glad to share our good news with you all and can't wait to take you along for the ride!" Hartsock said in an interview with Us Weekly that she's feeling confident going into her second pregnancy. "We know what to expect," the star said. "When we brought Asher home, we were so cautious and scared." The Bachelorette alum is due in January 2019, and is uncertain if baby No. 2 will be her last. "I think that's a bridge we have to cross after this one," she said. "We might be OK at two, but you need an army with more kids!" Hartsock competed for Sean Lowe's affections on The Bachelor Season 17 before starring on The Bachelorette. Lowe ultimately picked Catherine Giudici, whom he married in January 2014.